Angarika Sankasthi Chaturthi Vrata will Coming on 1st January and According to Gujarati Month Bhadra Vad(Krishna Paksh) Choth (Forth Day)(Adhik Mas). Angarika Sankasthi Chaturthi Vrata is Objerved of Lord Ganesha Vrata.If Sankashti Chaturthi comes on Tuesday, it is called Angarika. The vow is completed on the same day. Devotees have their meal in the night after having darshan of lord moon.According to smriti kaustubha, the sankashti vrata has to be done without eating food. The common vrata paribhasha says, "Drinking too much fluid (often, even water), eating tobacco, or betel nuts, or betel leaves, or any other activity prohibited by vrata" will break the fast. Now smriti kaustubha grantha says that the vratha has to be broken at the moonrise time after doing puja to ganesha and argya to ganesha. One needs to celibate during vrata period. One can drink water but not too often. One cannot smoke or consume alchohol or eat meat of anykind during vrata or after breaking the fast, and the fast cannot be broken with meat products. Once there lived a king by the name of Surasena. On one occasion God Indra the king of Gods was flying over the kingdom of Surasena. People of the kingdom could see the plane and suddenly the plane starts to descend and lands. The king seeing the plane, in curiosity to meet the person aboard on it approaches the plane. The king realizes that the person in the plane is God Indra. The king approaches God Indra, prays to him and enquires him the reason for landing in his Kingdom. Indra pleased with the kings prayer, tells him that, a person who has done countless sins saw his plane and hence the plane has landed. Indra continues that the plane would fly only if a person who has a lot of virtue would come forward and donate his virtue. The king prays to Indra to show him a way, through which he can send his soldiers to find a man with lot of virtue. 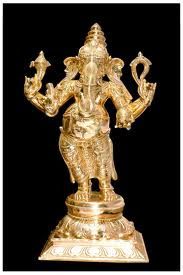 God Indra replies that today is Panchami and yesterday was Bahula Chaturthi or Sankashti Chaturi which is also known as Sankata Hara Chaturthi. 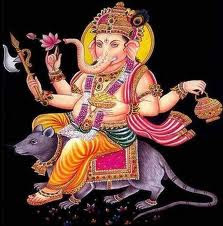 God Indra tells the king to find a person who has fasted yesterday and by mere fasting on Sankashti Chaturthi, the person would enmasses limtless virtue and if he could part with the virtue, his plane would fly. The king orders his soldiers to search for a person who knowingly or unknowingly has fasted on the day before or on Sankashti Chaturthi. 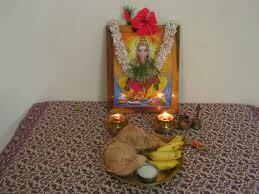 As fasting on Sankashti Chaturthi is itself enough to gather a lot of virtue. The soldiers search the whole kingdom and fail to find even a single person. On their way back to palace, the soldiers spot the servants of Lord Ganesha, known as Ganesha Duutas, taking a old woman who died with them. The soldiers ask the Ganesh Duutas, who they were and where are they taking the woman. Ganesha Duutas explain the soldiers that they were servants of Lord Ganesha and were taking the woman to Swanand Loka the abode of Lord Ganesha. The soldiers were astonished and were curious to know the reason for taking the women to the abode of Lord Ganesha. 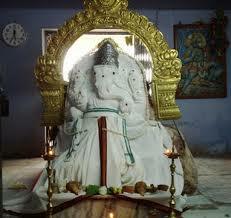 The Ganesha Duutas, reply that the woman was sleeping yesterday and hence was not able to eat or drink. She died today and because of the fasting had gained so much virtue that she was to be taken to Swanand Loka. 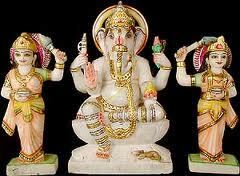 The soldiers request the Ganesha Duutas to give some virtue of the woman, but the Ganesh Duutas refuse. In the mean time, the plane suddenly starts and everyone is astonished. Lord Indra realizes that the wind that has blown over the old womans dead body has also blown over the plane. This wind gained a virtue just by blowing over the dead body that the wind by just blowing over the plane was able to start it. The significance of the story is that one would gain virtue that one cannot imagine by simply observing a fast. And if a puja of Lord Ganesha is done, after observing the fast and seeing the moon in the evening, the virtue would increase much more. To start with as soon as you get up have your head bath. Clean the sacred place/temple at your house. Do your morning prayers. 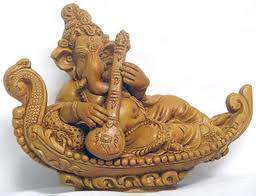 Always hum Om Ganeshaya namaha 108 times daily. 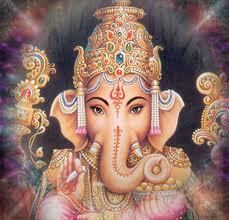 I always hum the 108 names of Vinayaka. 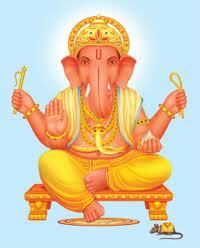 They are called the Ganesha Ashtothara (see below) of Lord Ganesh which is put up in the next paragraph. On the Sankashti day one can hum the 108 names and bow to the lord 21 times either in the morning or at night just before the moon rise however convenient. During the fasting period, Sabudana kitchadi , fruits /curds with Beaten rice are permitted. If one cannot utter the 108 names due to shortage of time or any reason, he/she can byheart this song which is Sankashta Nashana Sthothraand is written underneath.